Thank you Carol for recommending a Polar Bear. 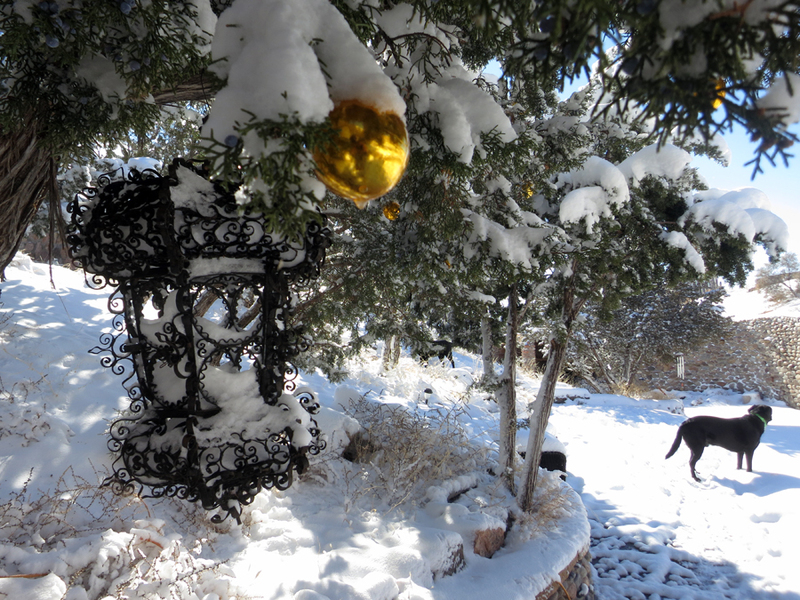 Finally it is snowing in Abiquiu, NM and the whole landscape is covered in billowy snow. 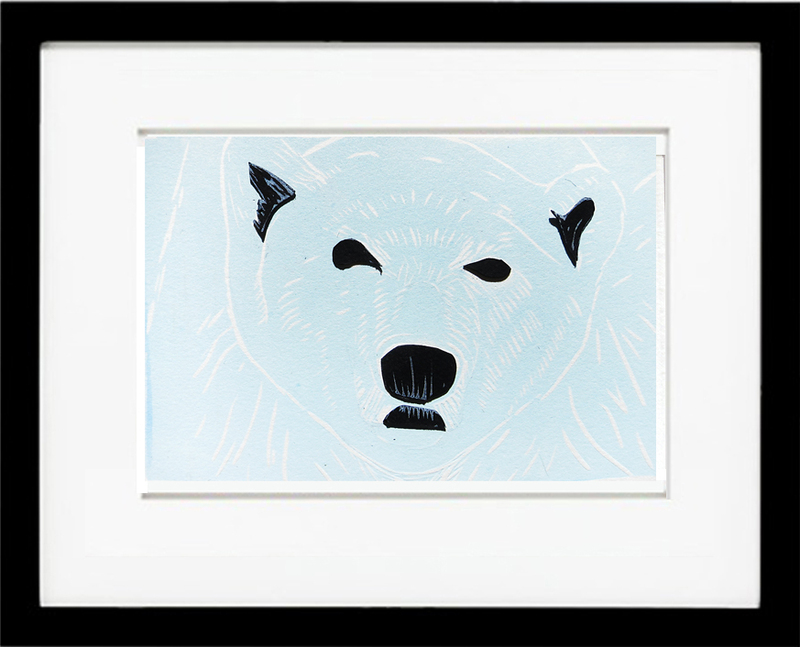 This polar bear is printed in a icy blue onto white Rives BFK paper. I also print the bear in black, then cut out the eyes, ears, and nose and glue them, with archival glue, to the white paper. 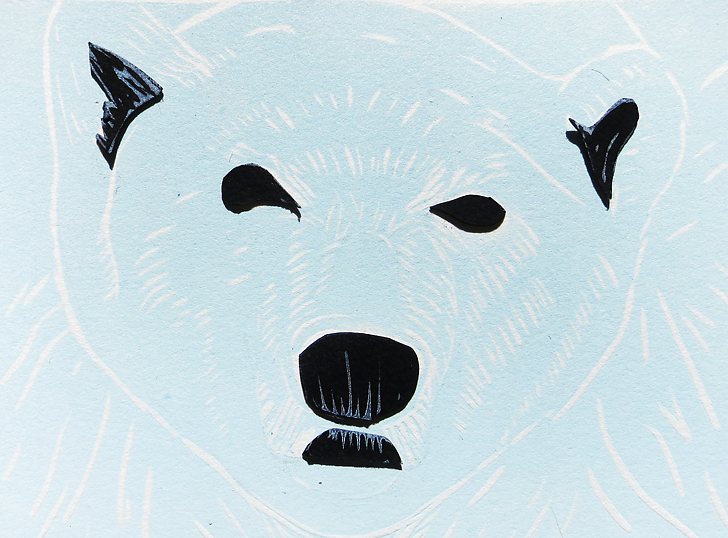 This gives the print a little dimension and the necessary black parts of the bear. This print will be ready for mailing first thing Monday morning, January 26. I need a little extra time to glue all the tiny pieces on. There are 10 available for $20 each on Etsy and you can order yours now. Here is a beautiful view from my studio the morning I made the Polar Bear.